It took me many years to learn a valuable lesson; that everything you do, you do for the Lord and not for people. I used to find myself disappointed when the things I did were not noticed and my accomplishments were not acknowledged. It seemed like nothing I was doing was appreciated. What I realized was that I was working for people and their approval. Yes, I was a people pleaser! I decided that I would practice gratitude and thank the Lord for the opportunities He was providing to me. The moment that I started to thank the Lord for my job and my co-workers and gave my days and skills to Him, everything changed. I no longer needed the approval of others. In an instant, I stopped being disappointed. Why? Because I knew the Lord had created me just like I am and that He was always championing me as I served Him. Everything I did and everything I had belonged to Him and originated with Him. What an incredible different this made! If you find yourself upset because the boss doesn't notice what you are doing or you are not hearing "thank you" like you wanted, it could be that you have become more of a people pleaser than a Savior praiser. Be a Savior praiser! 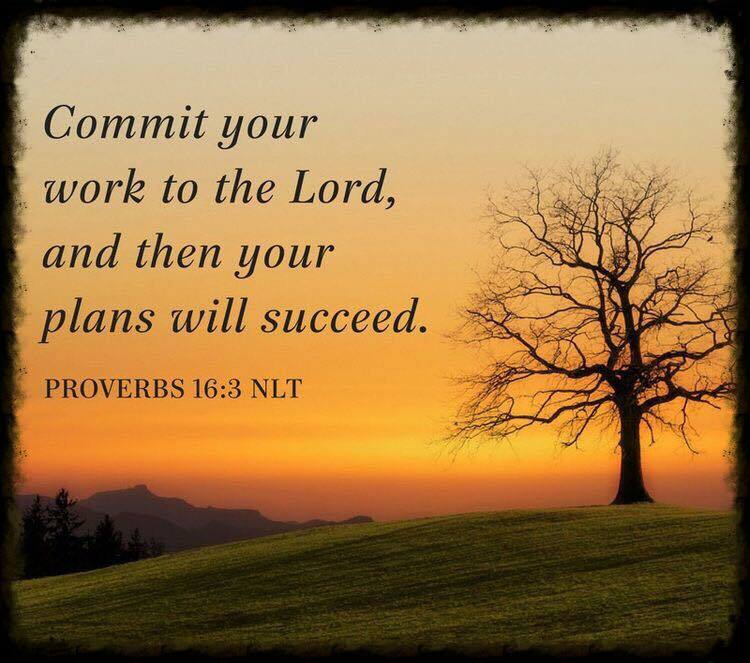 Commit whatever you do (work, play and rest) to the Lord and THEN your plans will succeed!